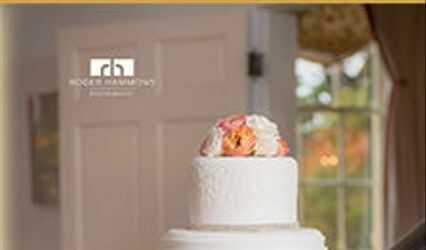 Abrocakes was created to provide you with down-home, great tasting cakes that always leave your guests talking about your cake for years to come! These award winning cakes are not your run of the mill grocery store cakes; all of our cakes are hand-crafted with the best ingredients available and made especially for your order. Michael Abromavage's cakes have won Blue Ribbons in 2009 and 2010 at both the Virginia State Fair and the National Capital Area Cake Show! Round ivory cake with pearl finish. 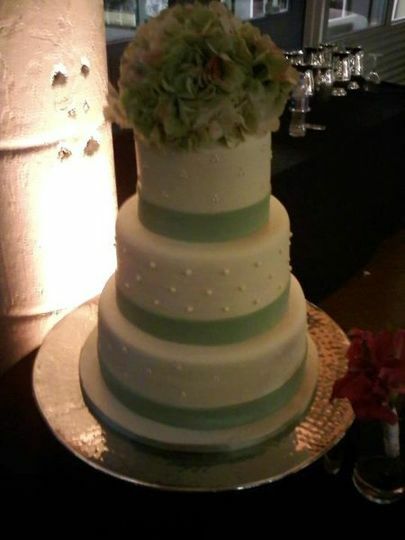 I could not have been more thrilled with the cake and cupcakes that Abrocakes provided for my wedding. Not only were they a total HIT with the guests (I am still hearing that it was the MOST DELICIOUS cake and cupcakes anyone had ever had) Michael also braved a terrible ice storm to deliver ON TIME to my venue. He was so great to work with - very responsive and VERY patient with me. I was rather indecisive - made several design changes and gave some pretty vague descriptions. Not only did he come up with EXACTLY what I was envisioning ... he made it even better! I highly recommend Ambrocakes! 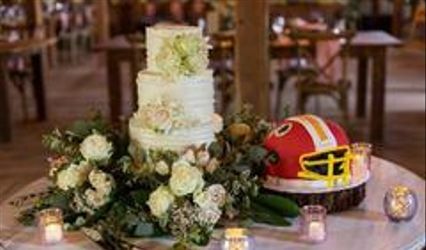 Michael's creativity, passion for detail and capabilities as an amazing baker have led us to believe that he is one of the most talented bakers in the DC market. When I presented Michael with two very different ideas for my sons' birthday cakes, he went above and beyond - creating them exactly as I envisioned. The characters, the coloring, the shapes and the size were perfect and his attention to detail and friendliness were second to none. And, once we did decide to eat the cakes - DELICIOUS! It was the most moist combination of fudge and vanilla and all the goodness in between. PERFECTION in every sense of the word. We'll be back for more and know that we are recommending him to everyone we know! 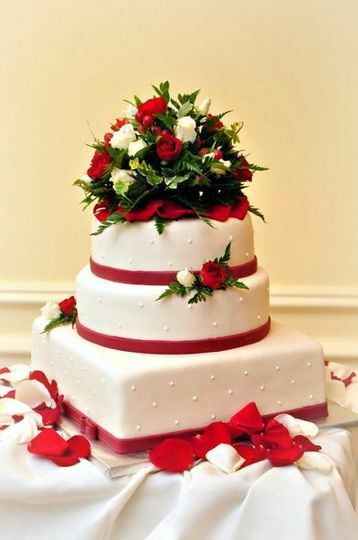 Abrocakes was recommended to me by one of my girlfriends when I was searching for a wedding cake vendor. 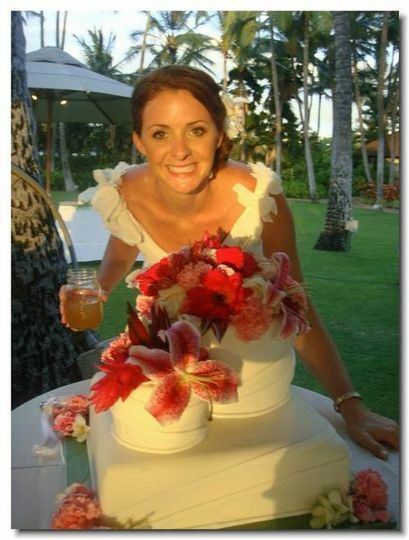 I first ordered a dozen PB&C cupcakes to take to my bachelorette weekend (March 2012) so that my friends and I could do a taste test and I was SOLD from the first bite! Michael's cakes are so very moist and rich in flavor. The cupcakes were to die for!! My fiancé and I went to do a tasting at his home and everything we tasted was amazing! 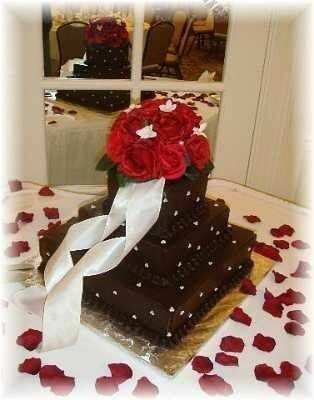 We ended up choosing the Ruby Red Velvet and Amnesia flavors for our wedding cake (May 2012) and we could not have been happier! 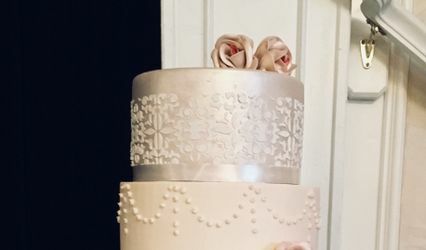 Check out our beautiful cake design on the abrocakes.com website. 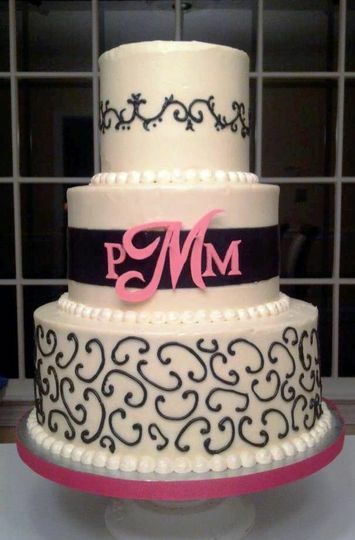 Our cake is the pink, black and white with the PMM monogram. Our guests were asking who our cake baker was all night and days after. I also ordered the Coco Loco cake for my mother's 60th birthday (July 2012). You will be delighted with all of Michael's cake flavors and creations!! I will be a customer for years to come!! Who wants to celebrate with year-old, freezer-burnt cake?? We always help you celebrate your First Anniversary with a free cake of your choice! 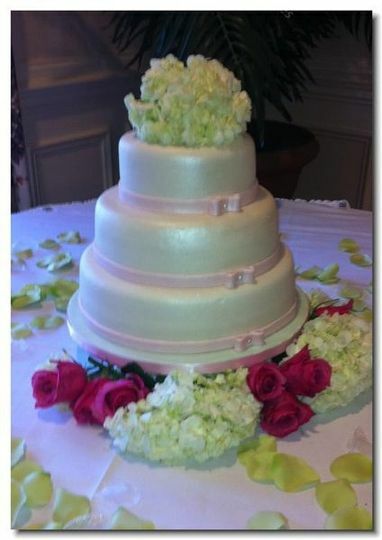 Just buy your wedding cake with us and give us a call in a year to order your fresh anniversary cake.